john4jack (Corvallis, Oregon, United States) on 17 June 2013 in Cityscape & Urban and Portfolio. 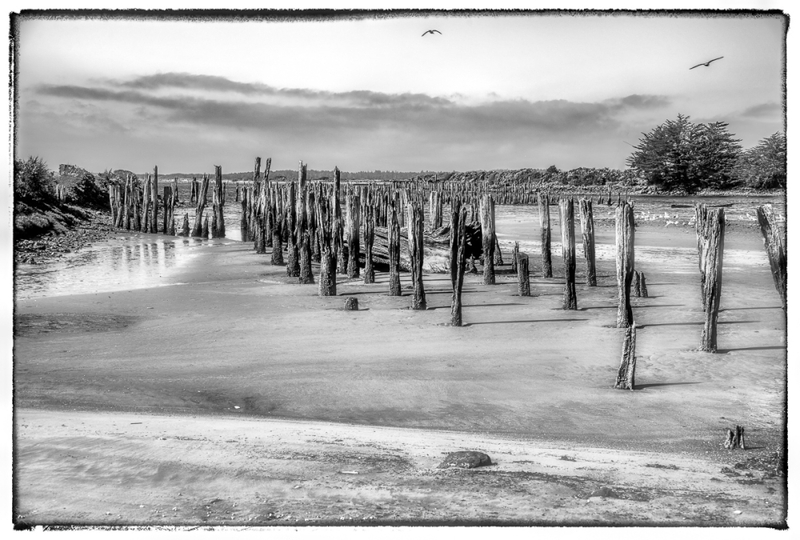 Old pilings in downtown Bandon at low tide. This is along the Coquille River. An 'End of Days' feeling to this . . reminds me we need prepare for the ultimate fate of the universe. a beautiful Vision in B&W ! Great ! Like a petrified forest - quite eerie! quel rendu sur ces pieux de vieux bois et ce sable immaculé superbe. Superbe image, le choix du N&B est très judicieux. Magnifique présentation. Bonne journée. Very nice image, works really well with all those contrasts. 5***** une splendide photo!!! j'en suis fan+++++ magnifique paysage! I like the repetition of the pilings which look very good given your expert processing. Excellent BW. What an amazing quality of light captured here! Great work! SUperb! I love the patterns of the pilings. Lovely composition and beautiful subtle tones. excellent b&w treatment of this scene! well composed with superb tonal range and great detail! very impressive perspective and bw presentation! those two birds add a lot of quatlity !!! A lovely forest of pilings. I like those birds up there. Un magnifique point de vue et le choix du N et B est idéal ! Nice job with the repetition of shapes.